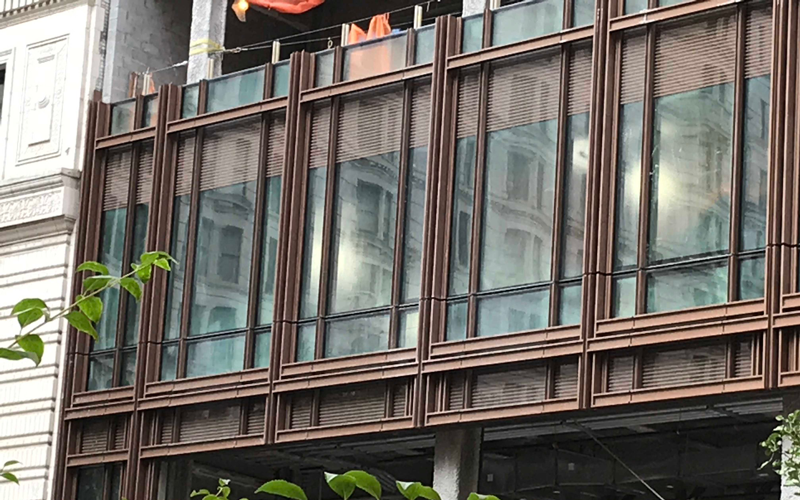 The first curtainwall units for 74 Trinity Place in New York City were just recently installed. The unitized system features a decorative vertical accent, painted in a custom 70% Kynar paint. 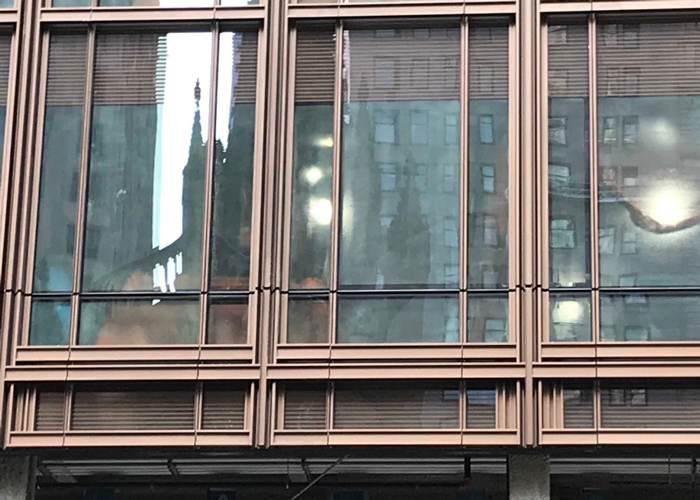 The bronze-colored aluminum façade and layered paneling adds a unique quality that is not often found in curtainwall towers. Viracon will be supplying the glass with a ceramic frit pattern. 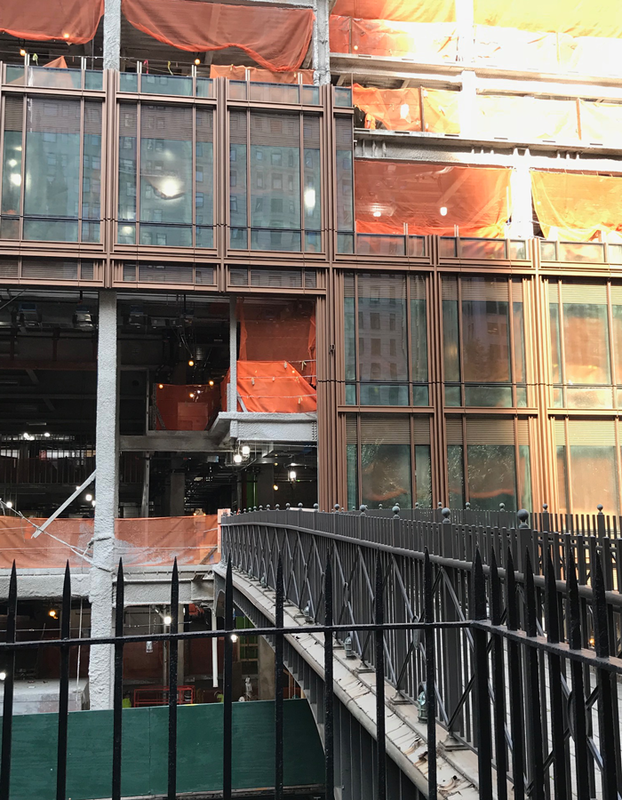 The project was designed by Pelli Clarke Pelli with Steven B Jacobs Group, Executive Architect and Gilsanz Murray Steficek façade consultant. The Hunter Roberts Group is the Construction Manager. The 500-foot tall structure will yield nearly 100,000 square feet of community facilities and 310,000 square feet of offices. The building is expected to be completed in 2019.